Can I skip the line to Madame Tussauds? Is there a bus transfer included in the Harry Potter & Warner Bros. Studios Tour? Ticmate is a Swedish company, and our goal is to become the leading European company for sales of international tickets and tours to all kinds of events and places. We believe information about the best events and experiences around the world should be accessible no matter where you are booking from – we speak english, and you pay in EUR. We only work with certified ticket sellers, usually the very best in each destination. Here you will find all the information you need and great tickets for musicals, tours, football matches, the hottest attractions and experiences in the world’s largest cities! Read more about us and what we do at About Ticmate. London is a very popular destination, and many attractions become sold-out weeks in advance. 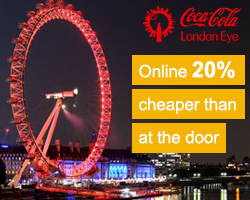 We strongly recommend you book your tickets just as soon as the flight to London has been booked! By booking in advance, you also save time by not standing in the long lines to the ticket office. Our tickets give you access to a special entrance for pre-booked tickets, which is usually a shorter queue than the regular box office. Though please note that during high seasons, especially fall vacation, spring break and other school and public holidays longer queues may occur. Also at midday between 12 PM and 15 PM. You will receive your train ticket in a separate mail within 24-48 hours after your have completed your booking. Yes! A bus transfer is included in the Harry Potter and Warner Bros. Studio Tour. The tour ends at Victoria. The starting time stated on the booking page and on your voucher is the time the bus will be departing from central London. If you want to arrange private transportation to/from the Warner Bros. Studios you must call our local agent in London (the phone number is written on your voucher), and arrange this a few days prior to your visit. Please note that this tour can be fully booked with short notice, especially during high season. If sold out we will contact you immediately with alternative dates or full refund.